DISC JOCKEYS "STEVE K & STAN THE MAN"
TERMS & CONDITIONS This is a standing cocktail party for guests aged over 18. Tickets will be on sale until sold out. Ticket price includes all food & drink as per the menu, entertainment and access to King st Wharf for the Fireworks. All other beverages can be purchased at additional cost. See Ticket purchases for general admission or reserved seats. 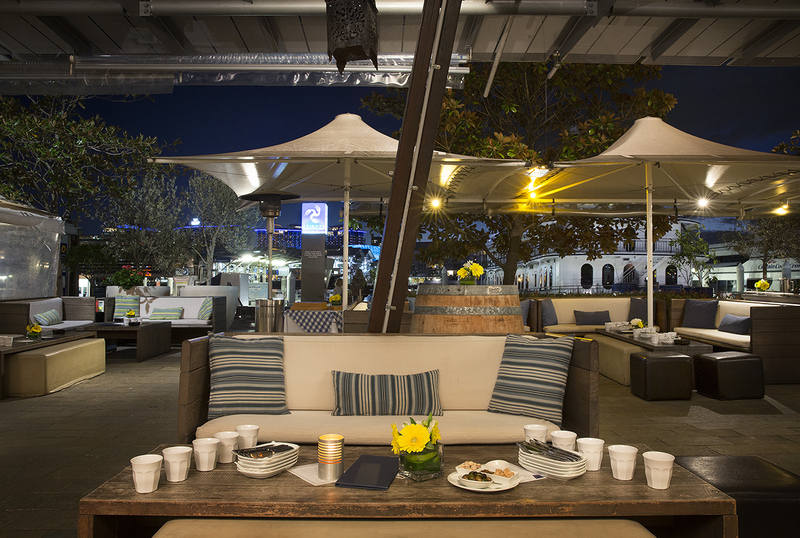 Lounge seating and furniture will be within the venue for guests comfort on a first served basis. Reserved seats are available for groups of 6 or more people. All tickets can be purchased online. Payment will be processed prior to the event on the credit card details provided. Receipts are provided by email. A door list will be created for this event, all guests must have a electronic or print copy of their ticket for entry. Wristbands will be used thereafter for re entry into the venue. REFUND / CANCELLATION POLICY: Confirmed numbers are required by 27th December 2018. The venue reserves the right to charge for that confirmed number of guests after that said date. It is the guest responsibility to confirm any changes to guest attendance. No refunds are provided after the said date. Georges observes responsible service of alcohol regulations. Please be aware of our no tolerance for intoxicated persons. We reserve the right to cease service and remove intoxicated guests.